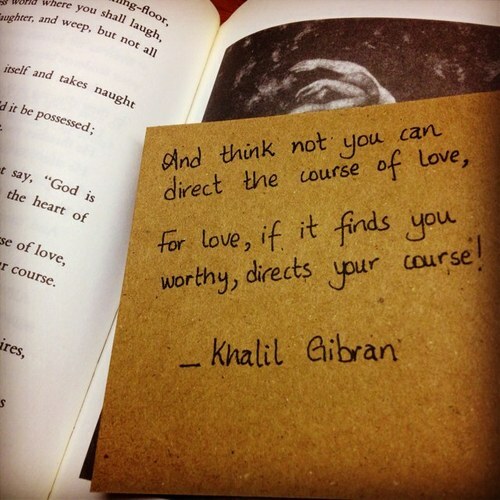 And think not you can direct the course of love…. Today as I came back home to an 11-year old, who also returned from last day of the grade – I was met with a long face and distraught emotions scattered all across his face. Okay I have been strictly advised not to disclose the ID in my blog so let’s just call him Mr. Sad for this piece! I asked little Mr. Sad what is bothering him, and he mentioned how some good friends were leaving the grade and will not return in the next school year. Given the seriousness of the situation, I figured it was not exactly the right time to check on the gender of the special friends – just focus on the subject at hand. I sat down with Mr. Sad and explained how distance should never matter among good friends. How one can always stay in touch in this amazing world abuzz with all sorts of communication tools! How if you are really close, you can always remain the best of friends and whenever you meet again you start from that point onwards. What I did not want to tell little Mr. Sad was that actually sometimes out of sight is out of mind indeed! Like a good mother on duty, I did ask him if he said goodbye properly and exchanged contact details with the friend so that they may stay in touch. What I did not want to tell him was that sometimes when we tell people how much we care for them, it is human nature to then start taking us for granted. And then it occurred to me that I should let him explore the entagled web of life on his own. I sincerely hope that he is lucky enough to find friends who care for him, and stand by him always. And that, when he does indeed take the plunge to share how he feels towards a special someone, he is lucky enough to be reciprocated a thousand times more and not be slapped with numbness in return! Who said ur fat? Gorgeous aunt it is! 😉 and thank you for liking the post! Its amazing that how you put the feelings in words. I am 24 and I have experienced the transition from immature teenage to mature adulthood through these types of experiences. I learned that sometimes it is painful for time being but in long run they give life time lessons, cheers. Agreed! Thats why Mr. Sad was only provided limited information – and the rest was released on this blog! 😉 Thanks for liking the post though.